Sec. 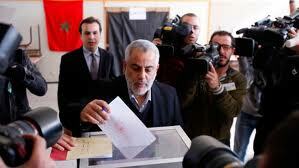 of State Clinton, UK, France, Others Praise Morocco Vote as ‘Important Milestone’ for Peaceful Change in Region. WASHINGTON, DC (Nov. 26) — Moroccans voted yesterday in the country’s first Parliamentary election since recent Constitutional reforms that increased the power of Morocco’s Parliament. Voters chose from among 5,873 candidates and 33 different parties to fill 395 seats. Seventy seats were set aside for younger adult and women members to ensure Parliament includes new faces reflecting the nation’s changing population. With 288 of 305 local constituent seats decided, provisional results show the Justice and Development party (PJD) won 80, Independence party won 45, National Rally for Independents (RNI) won 38, Authenticity and Modernity Party (PAM) won 33, Socialist Union of Popular Forces (USFP) won 29, Popular Movement (MP) won 22, Constitutional Union (UC) won 15, and Progress and Socialism Party (PPS) won 11. Under the new Constitution, the head of government is to be appointed from the party with the most seats. Early results indicate a coalition government will emerge with PJD likely in the lead. Despite some calls to boycott the election, provisional results show 45.4 percent of Morocco’s 13.6 million registered voters participated, an increase of 21.6 percent over the previous parliamentary election in 2007. Almost 4,000 national and international observers oversaw the election.